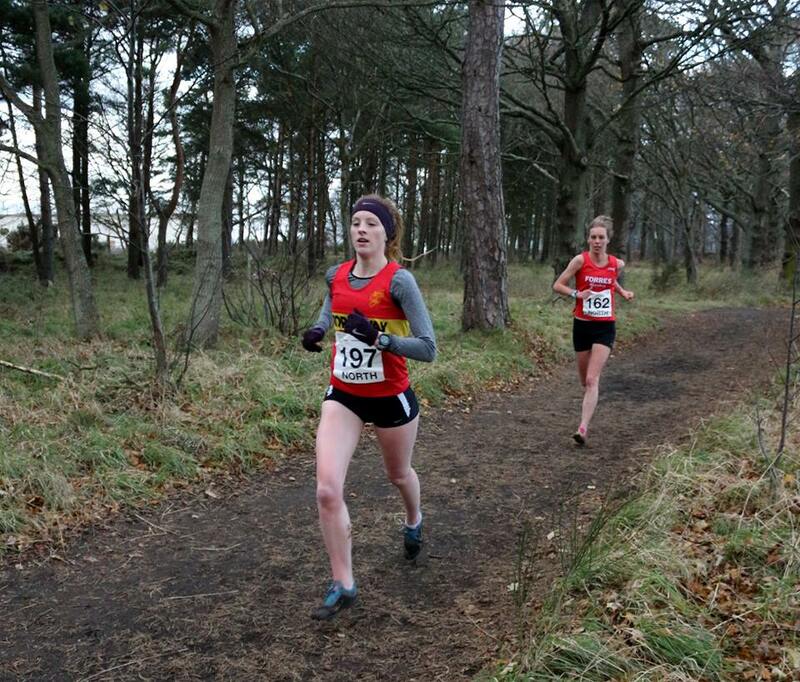 Fife AC Senior Women claimed their first-ever medals at the Lindsays East District XC at Livingston – on countback. Metro Aberdeen are becoming a significant force in the women’s division at Scottish events and they tied on 47 points with a Fife team led by individual silver medallist Annabel Simpson. Steph Pennycook, representing Edinburgh Uni Hare and Hounds, had won the race with Edinburgh AC’s Rebecca Burns, who won a Scotland vest recently for Liverpool, in third. Fife took the verdict with EAC third on 59 points. Central AC men won the team race somewhat less surprisingly given the propensity to dominate at the East Districts. Central did so helped by a fine individual gold for Jamie Crowe, back in Scotland after a spell in America. 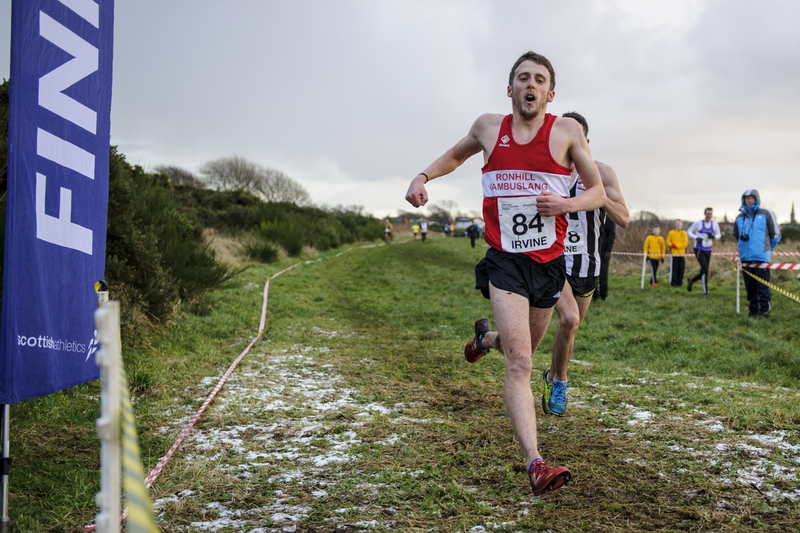 Crowe did superbly to hold off Dundee Hawkhill’s Kristian Jones – who was last year’s winner – to win by just a single second as Aberdeen AAC’s Michael Ferguson took third place ahead of Corstorphine’s Calum MacKenzie and GB international hill runner, Robbie Simpson. There were U20 wins for Central AC’s Kate Gallagher and Alex Carcas of Edinburgh Uni Hare and Hounds. Both champions led their team-mates to team golds. At U17 level, the races were won by Eloise Walker of Edinburgh AC and Christian Graham of Lasswade. Edinburgh won the women’s golds and Fife AC the men’s. Taking U15 gold were the Fife AC duo of Ben Sandilands and Anna Hedley. Pitreavie won the U15 girls eam golds and Fife won the boys race. The U13 champions were Katie Johnson of Edinburgh and Finlay Ross of Harmeny as the team titles went to Fife in the girls and Edinburgh in the boys. 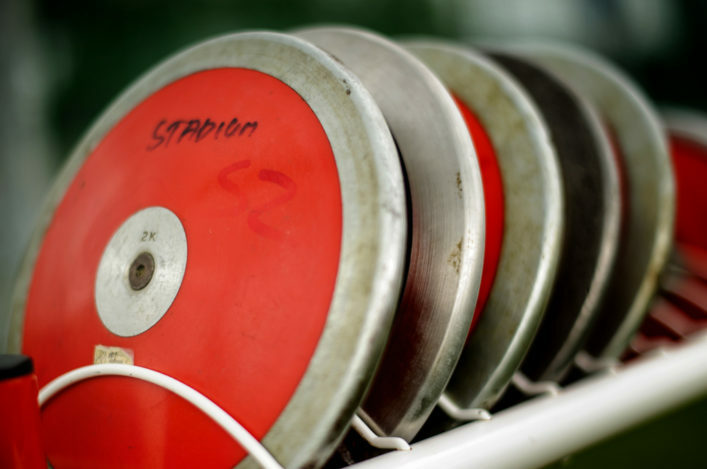 *There were Masters team golds for Gala Harriers in the Women’s race and Corstorphine AAC in the Men’s. North Ayrshire AC proved superb hosts at the West District XC over Irvine Moor Racecourse – and it was a special day for Cambuslang Harriers. The men and women in red-and-white dominated in most of the elder age groups and took team gold in the Senior Men’s and Senior Women’s races – the latter for the first time. Cambuslang also had individual gold medals at Senior, U20 and U17 level in the male division with race wins for Grant Sheldon, Gavin Smith and Drew Pollock. Sheldon is bound for Gold Coast 2018 in the triathlon and he took an exciting men’s race in the final strides from GB international hill runner Andy Douglas of Inverclyde, with Lachlan Oates of Shettleston forced to settle for third after being with the top two for the first 5k or so of the 10k race. Cambuslang duly took the team golds from Shettleston and Inverclyde. The Women’s race saw a win for Springburn’s Michelle Sandison in 24.47 from Kilbarchan AC’s Elspeth Curran in 24.59 and defending champion Nicola Hood a couple of seconds further back. Garscube’s Katie White was fourth and it was another Katie, Bristow of Cambuslang, in fifth who led her team home to the golds from silver medallists Shettleston and third-placed Bellahouston Road Runners. Bristow had caught a flight from Shetland to Aberdeen on Wednesday night in an effort to beat ‘Storm Caroline’ and then a train to Glasgow on Friday and a lift to Irvine on Saturday. That’s what we call commitment to racing! 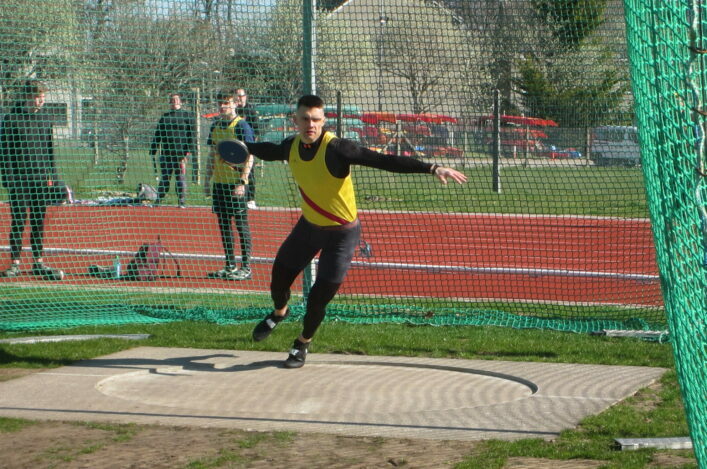 Smith won the U20 men’s title from Finlay Todd and Ross Gray with gold for Cambuslang. 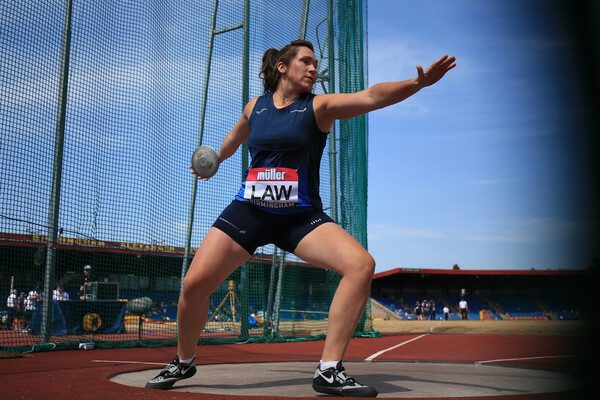 Holly Little of VP-Glasgow took the Women’s U20 gold from Elizabeth Greenwood and Holly Thompson as the team golds went to Cumbernauld AAC. At U17 level, there were title wins for Lynn McKenna of Giffnock and Drew Pollock of Cambuslang. Giffnock won the Women’s team golds from Inverclyde and Kilbarchan with Garscube the U17 Men’s champions from Cambuslang and Kilbarchan AAC. Jack Patton of Kilbarchan won the U15 Boys gold and Anya MacLean of Garscube took the U15 Girls race. Patton’s Kilbarchan won team gold from Giffnock and Garscube while in the girls it was Giffnock from Garscube and Kilbarchan. VP-Glasgow’s Valencia Wright won the U13 Girls gold with Giffnock taking the team golds from VP-Glasgow and Kilbarchan. Reuben MacDonald of Giffnock won the boys race in that age group with Cambuslang the team champions from VP-Glasgow and bronze medallists Giffnock. *Masters team golds went to Cambuslang men and Giffnock women. Inverness-based Scotland international Eilidh MacKenzie, winning her third Lindsays North District women’s title in five years, paid tribute to her Stornoway AC club-mates who only reached a totally green Gordonstoun venue after a nightmare 10-hour sea and road trip through thick snow which got them to Inverness in the early hours of race day morning. 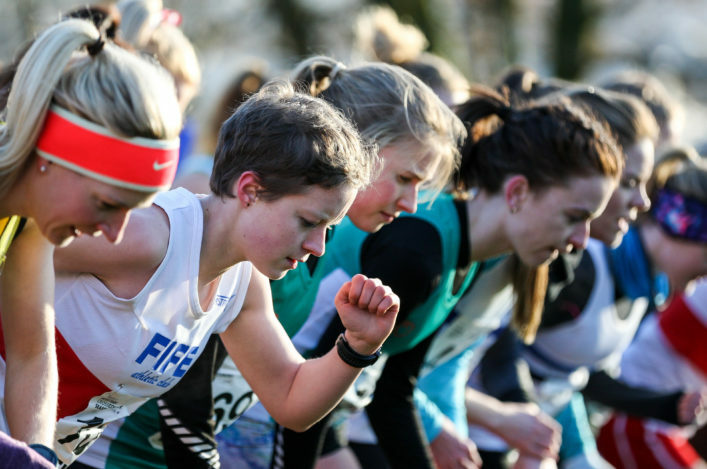 MacKenzie eventually broke clear of Forres newcomer Jessica Tullie, with a strong last 2K while Rhona Grant took third place for Highland Hill Runners. Moray Road Runners had no finishers in the top three, but they packed well to win the team title. MacKenzie’s thoughts were just as much about her Stornoway team mates as her own victory. ‘I felt so sorry for them hearing that they weren’t in Inverness until half twelve at night,’ she said. In identical fashion, John Newsom (Inverness) and Scotland road international Kenny Wilson (Moray) raced shoulder to shoulder until the latter stages of the men’s race before Newsom made a decisive break which he then converted into a 60-yard margin to retain his title. Donnie MacDonald took third place for Inverness who, like Moray, packed their six team counters into the top 15, with the Highland Capital club retaining their title by just eight points. Inverness won all the age group team competitions except for the Senior women’s and veteran men’s which went to Moray. Other individual winners: U20 men – Keir Beaton (East Sutherland), U20 women – Sophia Green (Moray), U17 men – Sunny McGrath (Deveron), U17 women Emily Andrew (Inverness), U15 boys – Lucas Cairns (Inverness), U15 girls – Eve Gardiner (Inverness), U13 boys – Shaun MacDonald (North Uist), U13 girls – Anya Morrison (East Sutherland).